WATSAN’s next big target project is at Bwambara Hill, where we hope to reduce the spread of disease and improve the quality of life for people by building three rainwater harvesting tanks, 19 new toilets, and washing facilities. 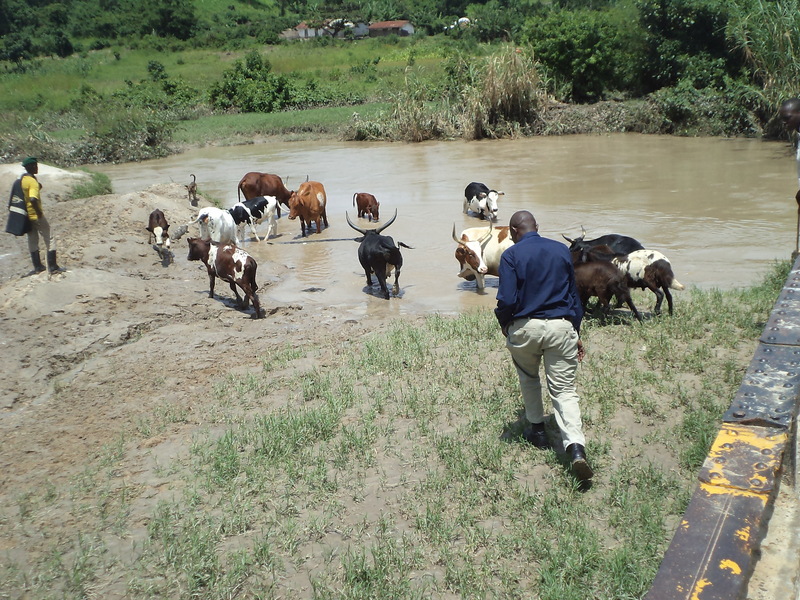 Bwambara Hill is a community of around 30,000 people, situated deep in the Rift Valley. The area has recently suffered severe drought and crop failure. Communities largely survive on subsistence farming, and live far beyond the reach of government-provided water infrastructure. 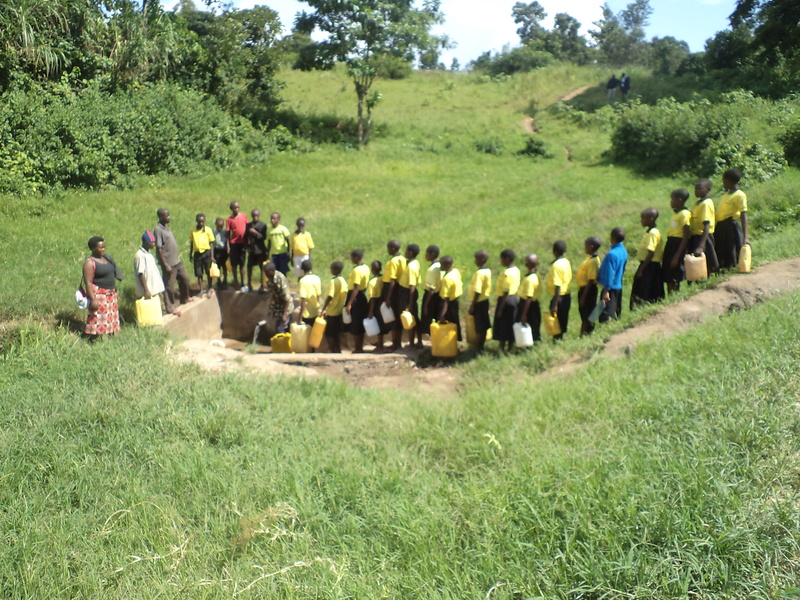 “The people living in the Bwambara Hill area find it very difficult to access clean and safe water; there is only one spring called Rugyera spring to which people living in Bwambara town plus schools within the town and in the neighbourhood of this town come to collect water. As a result, there is always congestion at the time of water collection. “At times, especially during a dry season, some people in order to avoid congestion at the spring, because during this period its flow rate decreases, resort to collect water from river Rushaya, which is 6 km to and from. The community comprises a Primary and Secondary School and a trading centre and church. 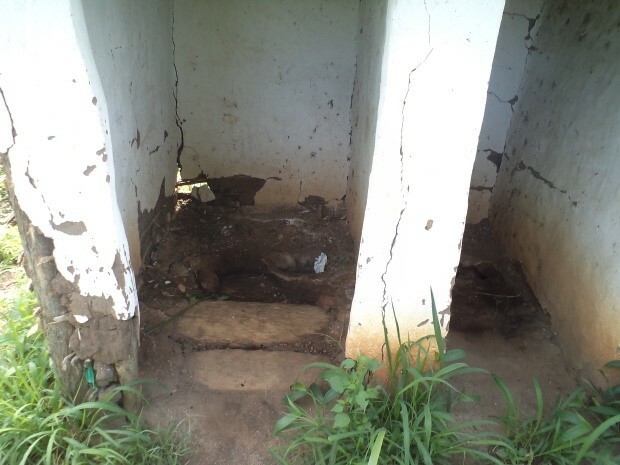 Existing facilities in all of these institutions are severely crumbling and extremely unsanitary – the picture to the left, for example, is the latrine belonging to the church and used by the wider community. Girls at the secondary school have a very basic bathing shelter, which means that when they are menstruating they often simply do not attend school. 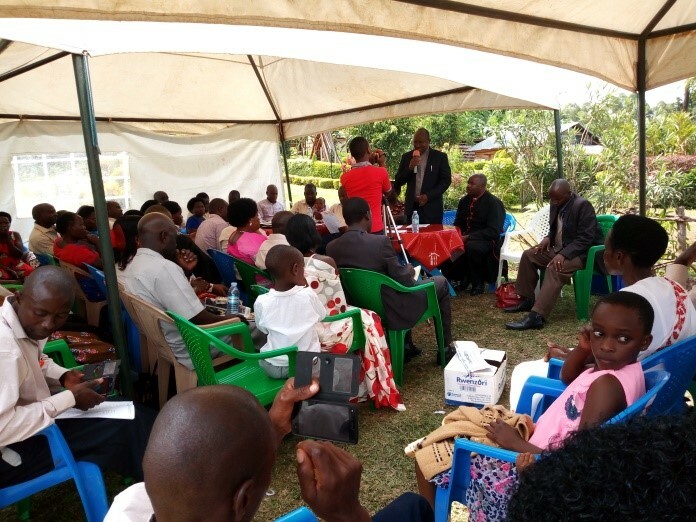 WATSAN’s team have already started working with the local community, engaging the management teams of both schools, and talking to community leaders via the existing Bwambara Rukungiri Development Group. The latter organisation will be engaged to form organisation and management committees to care for the structures that are built, but also to instigate local fundraising initiatives to make a contribution towards the hardware and software activities that WATSAN has planned. This includes a planned Bwambara town Walk for Water, inspired by the UK Support Group’s two-yearly fundraising event. The first meeting with the Development Group has already taken place, and baseline surveys of the natural facilities undertaken by WATSAN’s engineers. 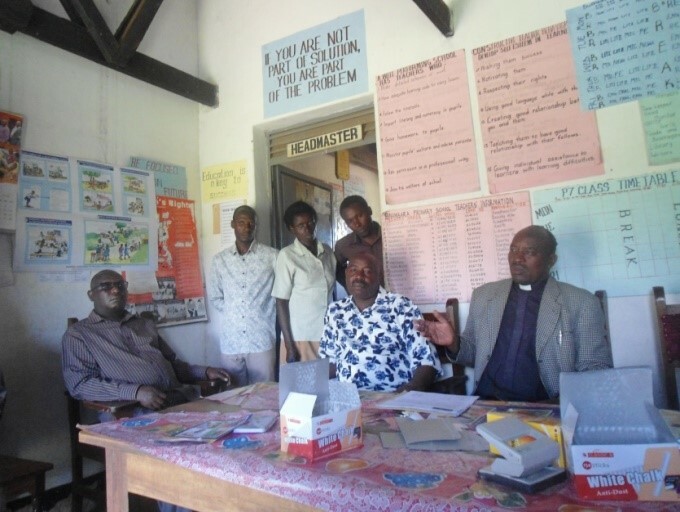 Our staff have also met with the headteachers of both schools, the pupils themselves and the Bwambara Archdeaconry. 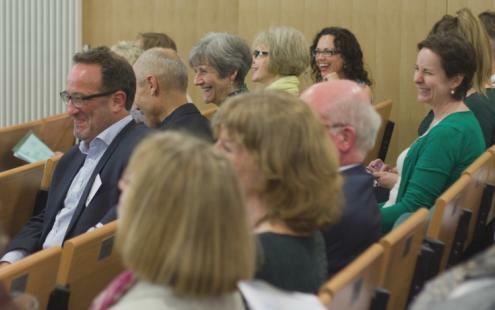 In all cases it was explained that local contributions to co-fund projects are important, as these create a sense of ownership among the beneficiaries, and helps motivates the funders in the UK. 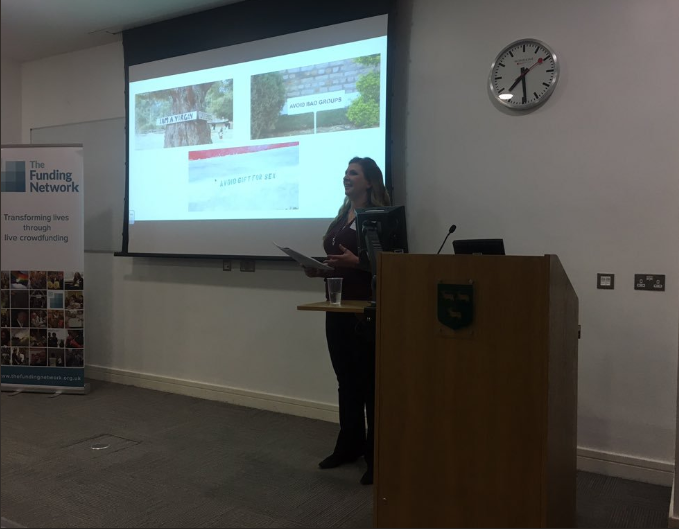 Associated ‘software’ activities – outreach and education about health and hygiene, and how to maintain the facilities. The total cost is £38,000, minus a small contribution by the local community. 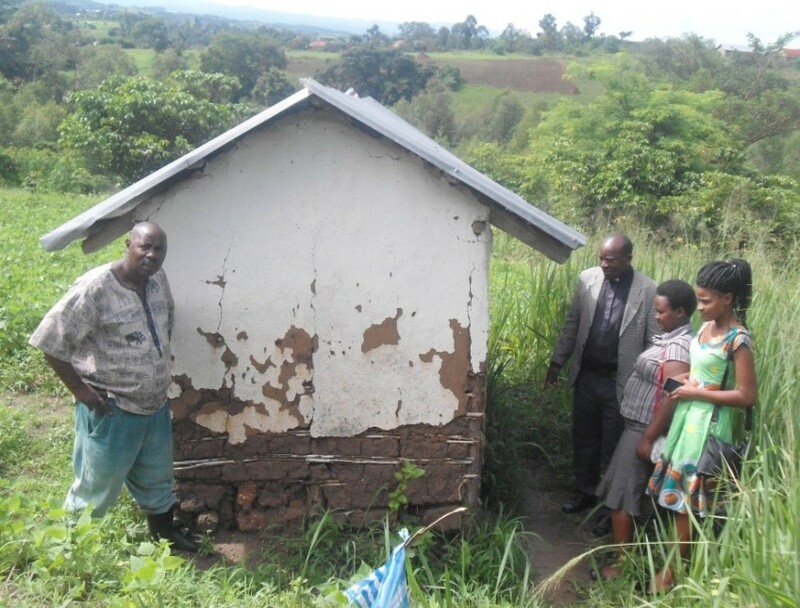 An initial payment of £16,000 was sent to Uganda in April so that the first phase of the project can begin (one five-stance pit latrine and two rainwater harvesting tanks). This was made possible thanks to the wonderful generosity of donors following our November appeal. We hope to raise funds for the final tank at The Funding Network on 17th May. If you would like to give to this project, please visit our donation page. The new pick-up truck is a crucial tool for the project team to visit work sites, survey new areas for future projects and check up on the maintenance of existing systems. The vehicle is a white Toyota Hilux pick-up, and cost 56 million Ugandan Shillings, or just over £11,000. WATSAN was lucky to benefit from the expertise of both trustee Stephen Bullett in the UK, an engineer and keen mechanic, and travel agent, broker and Rukungiri local Simonpeter Kansime, who arranged the sale. It replaces worn-out and depreciating vehicle that had been costing the team unreasonable amounts in repairs. Funds for the vehicle came from the UK Walk for Water in 2017. 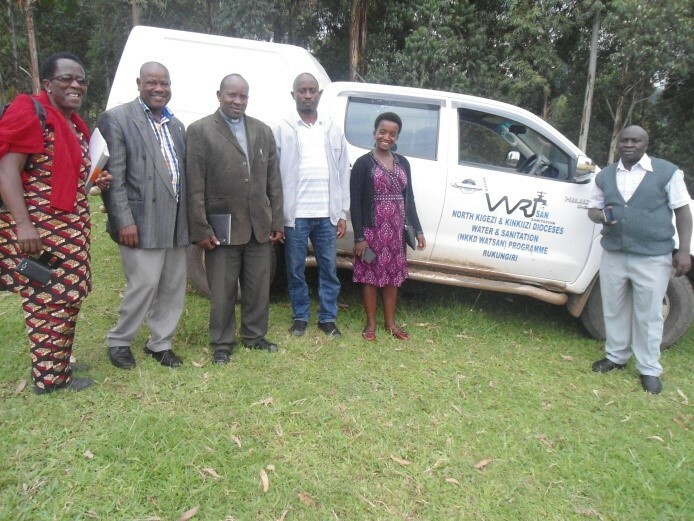 The team in Uganda is delighted with the new piece of kit, telling us: “It is a strong and speedy vehicle, admired by people at North Kigezi Diocese and beyond!”.